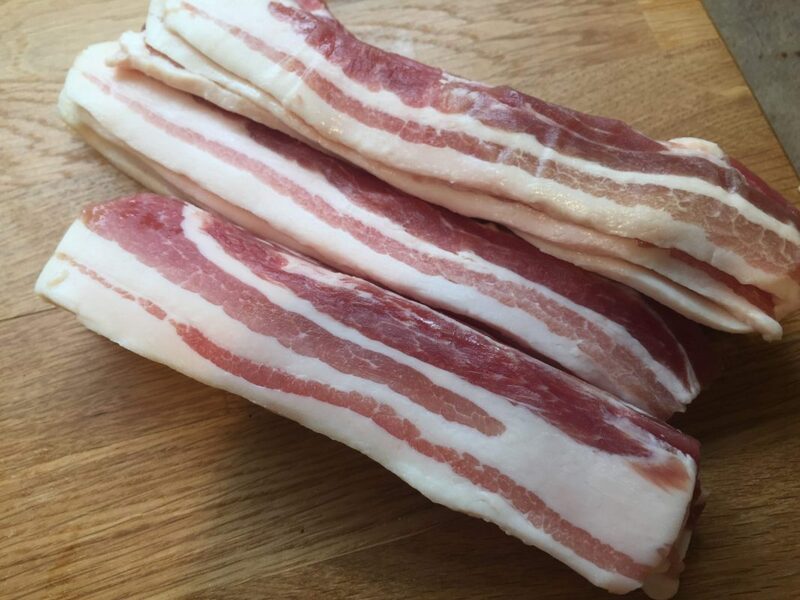 Deliciously crispy when fried or grilled. 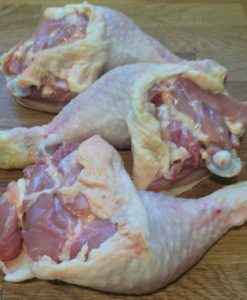 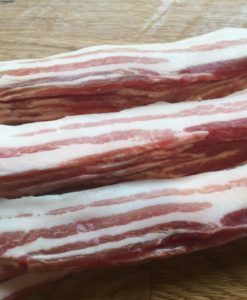 Can also be cut into lardons for use in recipes. 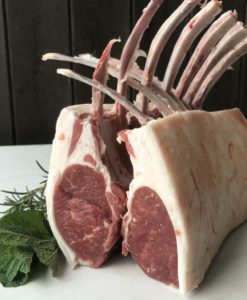 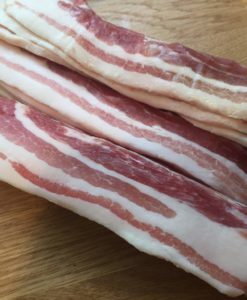 Ideal in boeuf bourguignon and spaghetti alla carbonara. 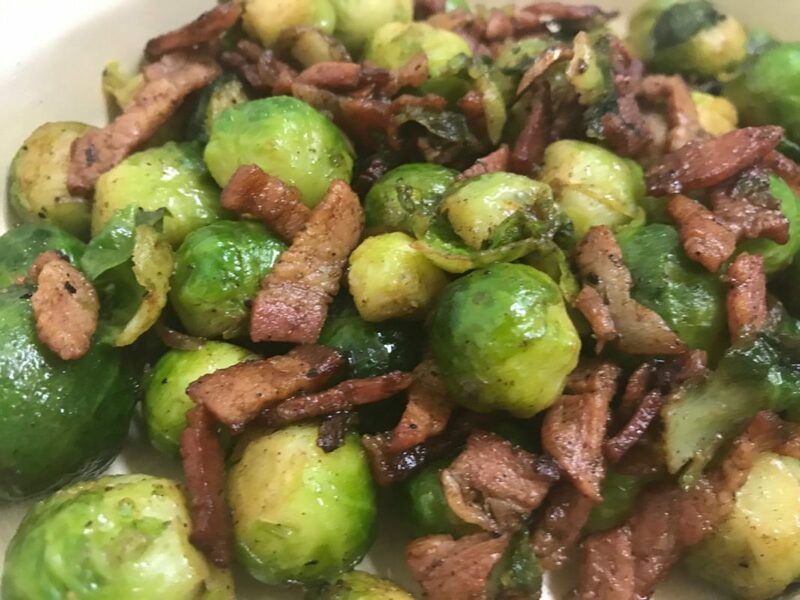 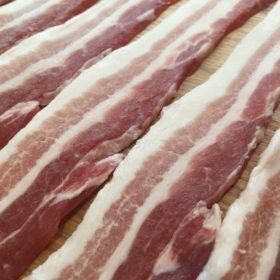 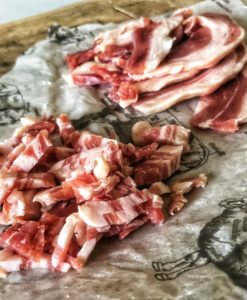 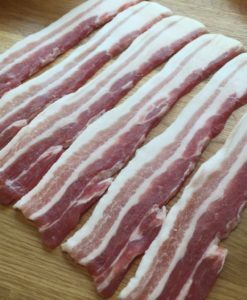 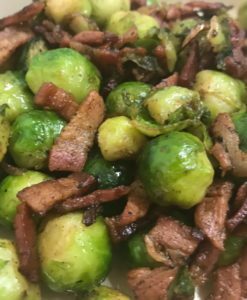 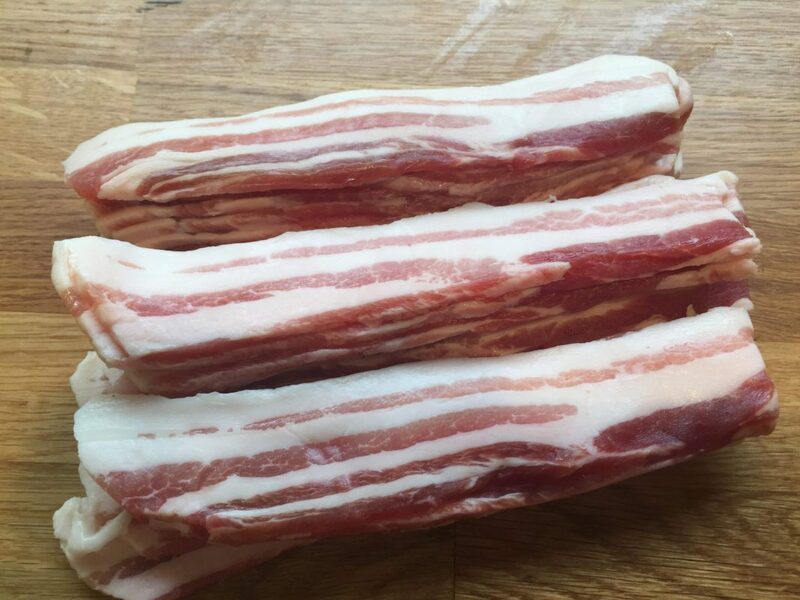 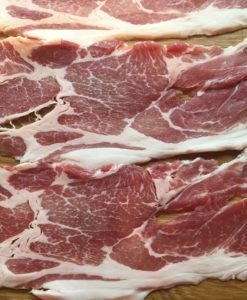 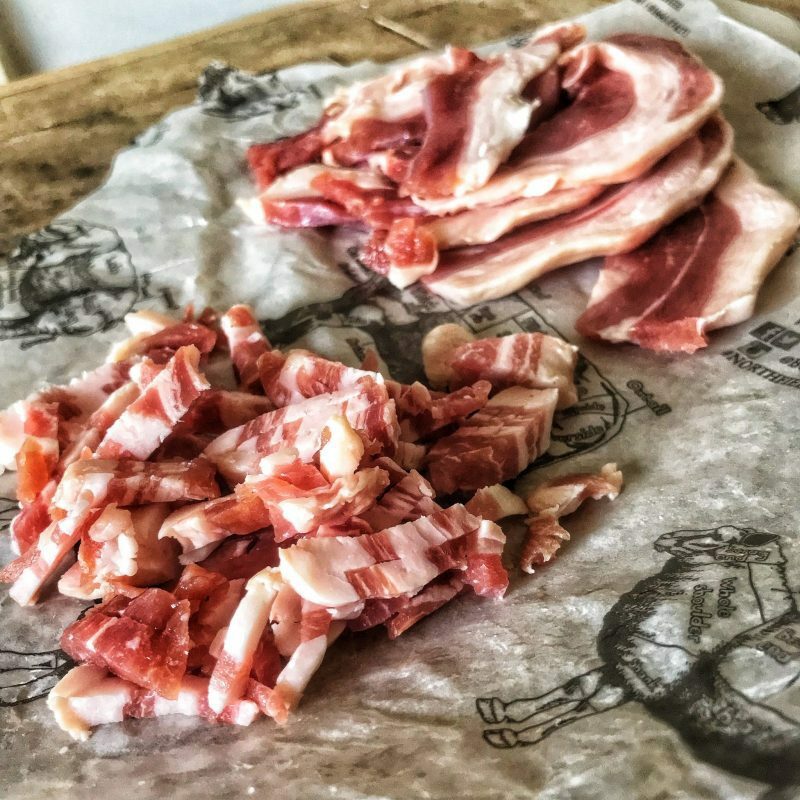 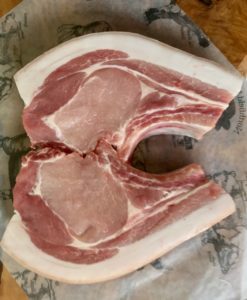 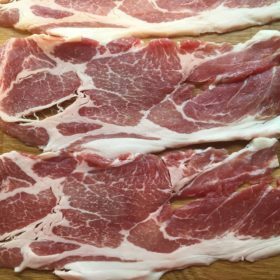 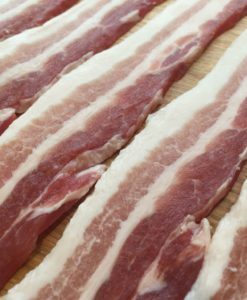 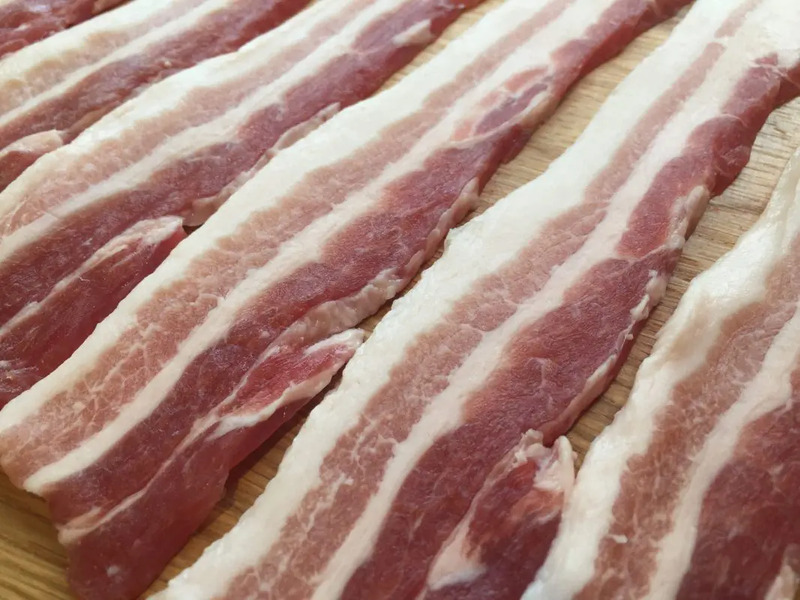 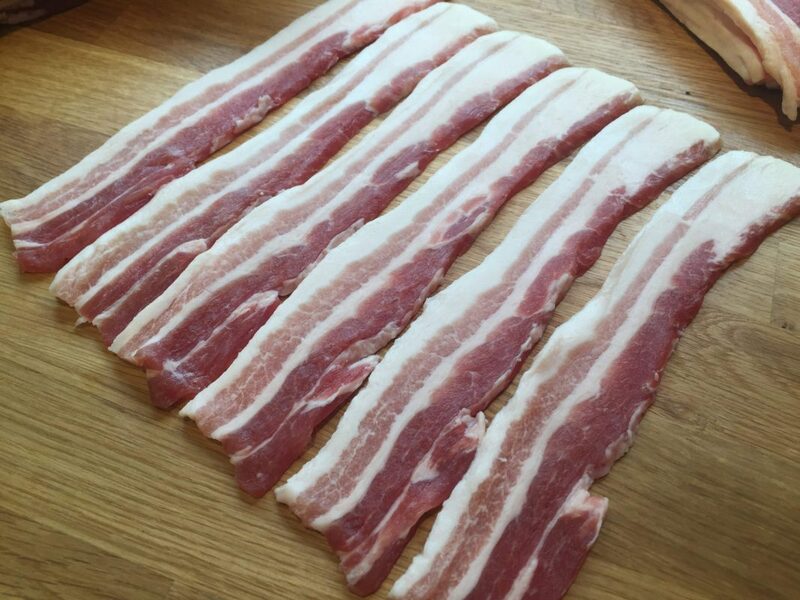 Dry cured belly of pork, gently smoked, produces a classic bacon rasher.